Colin Farrell (The New World) and Rachel Weisz (The Bourne Legacy) star in the 2015 Cannes Film Festival Jury Prize winner The Lobster. In this undeniably imaginative absurdist comedy-romance, Farrell is David, a man who has just been dumped by his wife. To make matters worse, David lives in a society where single people have 45 days to find true love, or else they are turned into the animal of their choice and released into the woods. David is kept at the mysterious HOTEL while he searches for a new partner, and after several romantic misadventures, decides to make a daring escape to abandon this world. He ultimately joins up with a rebel faction known as The Loners, a group founded on a complete rejection of romance. But once there, David meets an enigmatic stranger (Weisz) who stirs up unexpected and strong feelings within him. 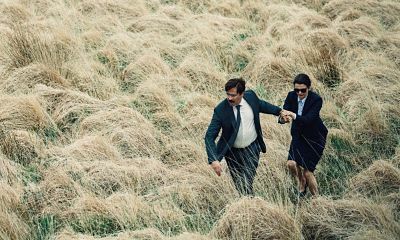 Directed and co-written by Greece’s Yorgos Lanthimos, the director behind the Academy Award-nominated Dogtooth, The Lobster was a festival favorite when it was released theatrically from A24 and is Rotten Tomatoes Certified Fresh.